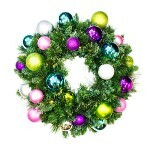 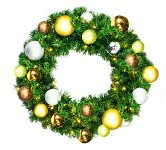 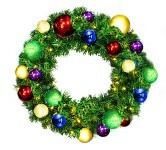 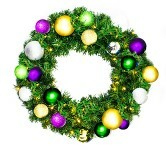 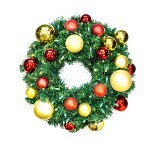 The beautiful 24" Sequoia wreath is artfully crafted with Sequoia Pine tips. 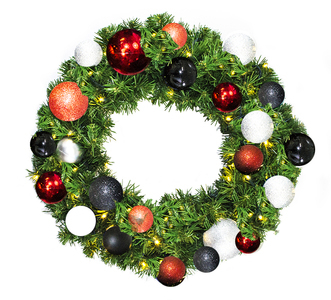 (200 tips) Creating the utmost realism creating an eye-catching appeal, neighbors and customers will love for years to come! 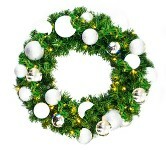 Lit with 70 LED warm white lights and decorated in our stylish Modern ornament collection, this wreath is sure to add a touch of elegance to any space.